Airbus flying taxis are getting closer. According to the company in a statement, it is expected that 60% of the world population will be concentrated in large cities by 2030. The result are mega cities where the effectiveness of urban mobility is key. Airbus Group believes that the future is in the air. Its flying taxis for the transport of a small number of passengers, something like urban flying taxis as they belief with an interesting and feasible proposal. The “Vahana Project” launched by the French company Airbus. Well, now Airbus, together with Italdesign, its partner in engineering and design, has just announced a new concept of aero-car that they have named Pop.Up. It was presented in partnership during the celebration of the Motor Show in Geneva, Switzerland. Vahana is a project of autonomous vehicle for the transport of passengers and goods, which they say they recognize from Airbus could have a first prototype at the end of 2017. The members of the team that develops it, working since last February. Have highlighted that many of the technologies they will use are already available, such as batteries and motors. Anyone using a mobile application could request the service of Airbus flying taxis and go to the nearest helipad. The company claims that a trip on the future aircraft would cost the equivalent of a taxi service and would be in line with the principles of combined economy. That is, it would be a shared taxi. It is a spectacular, autonomous and electric vehicle. It consists of a main capsule that has capacity for two passengers and is 2.5 meters long by 1.4 meters wide. This capsule could be connected to a module with wheels, to move by road, or to one with eight propellers, for air transport. Each of these modules would be independent and would be operated by an Artificial Intelligence system, which would serve to determine the most appropriate route to reach the required destination, either by land or air. 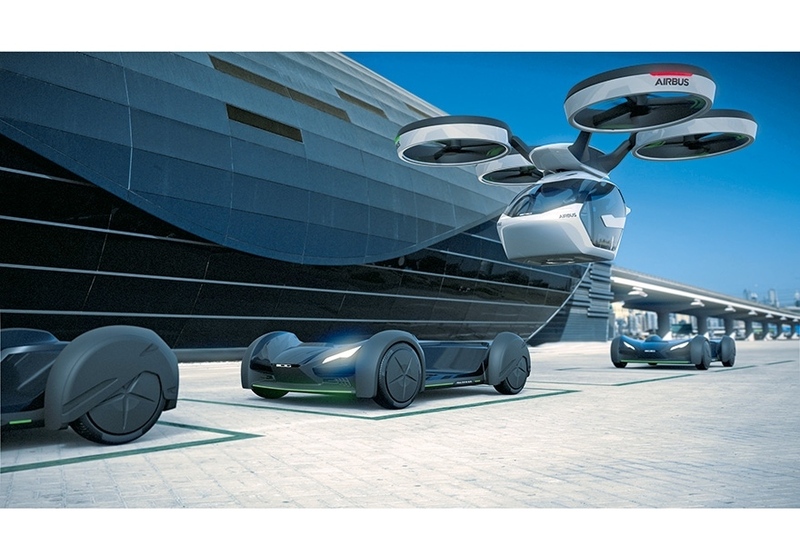 “In just ten years, we could have products on the market that would revolutionize urban transportation for millions of people,” says Rodin Lyasoff, project manager for A3, a Silicon Valley-based Airbus subsidiary in an article published by the aircraft manufacturer. Another subsidiary of the European company, Airbus Helicopters, has been working in Germany and France for several years in developing a manned flying taxi that could soon see the light. According to Airbus, access to the service of this taxi – which they have named CityAirbus – would be made through an app. Unlike Vahana prototypes, CityAirbus would be manned and, therefore, entering the market is easier and easier. According to its creators this vehicle has been designed among other things to “relieve vehicular congestion and reduce emissions” and is also raised as a Flying taxis. Users could request their services through a mobile application or through Augmented Reality devices. From the application would indicate the point of collection and destination, in addition to paying the way. Flying taxis will be known as Skyborne. They will be designed to transport people and different loads on defined routes and with elevated stations (like helipads) located in strategic points of each city. Rodin Lyasoff, leader of the project, says that in 2017 will start with the tests of the first prototype functional Skyborne.